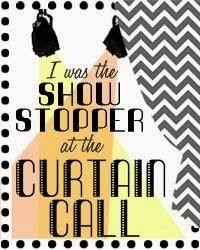 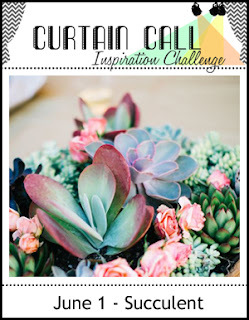 Thank you so much for joining us for the Curtain Call Inspiration Challenge - Succulent! 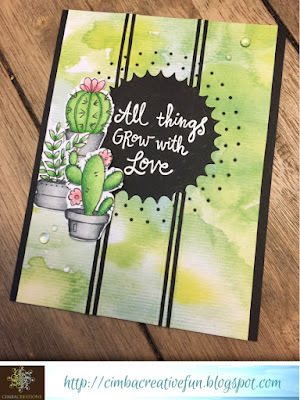 "Love the beautiful colors and clean, crisp look of Hannelie's card!" "Great design and beautifully coloured image by Hannelie"
"Such beautiful background and love the layout AND the cool cutout window....it all really shows off the gorgeous succulents." 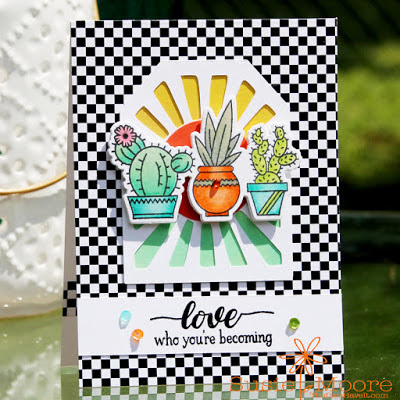 "Adore Susie's graphic card with the darling trio of potted cacti. 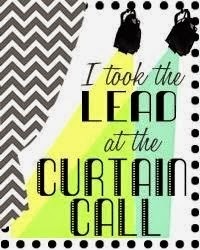 I love the sun ray tag too."